Car accident lawyers have noted that many experts believe that sleeping pills are an over-prescribed medication for people who claim to be suffering from insomnia or who have problems sleeping in general. Some of these pills, such as Ambien, an anti-anxiety drug, are taken during the day as well. Because of their effect, people who take these medications and then drive are placing themselves and anyone else on the roadway at considerable risk. Accident lawyers are increasingly seeking this medical information in discovery after serious car accident cases. If you or a loved one were injured by someone who fell asleep at the wheel or who was impaired from using sleeping pills, call car accident law firm Burns & Jain. Sleeping pills are usually narcotics, though there are milder brands. Still, the warnings are explicit that you are not to drive when these pills are taken. If the individual causes an accident, it is similar to a DUI since the person was driving while impaired and is subject to the same penalties and loss of driving privileges. Studies have shown that the risk in using pills or sedatives is similar to that for drunk driving. The most common sleeping medications are Ambien, Trazodone and Restoril (temazepam). They are supposed to be used as temporary sleeping aids but millions of people use them routinely. Experts warn that people with chronic sleep disturbances should not be using these and other sleep medications on a regular basis but instead should be seeking sleep cognitive behavior modification therapy. Anyone who uses a sleeping pill doubles the risk of causing an accident when they drive. We all know that teens love to sleep but did you know that many teenagers are sleep-deprived and that they are more susceptible to falling asleep than older drivers? To counter this behavioral factor, Massachusetts lawmakers enacted a series of laws restricting junior drivers, or those 16 and 17, from driving without a licensed driver who is at least 20 years of age as a passenger between the hours of 11 p.m. and 5 a. m. Violations are treated harshly with teens losing their license for 60 days for a first violation and 180 days for a second. As a result of the laws, teen-related injury accidents and fatalities dropped 40% overall and by 29% for nighttime accidents. Still, falling asleep at the wheel continues to be a higher risk for teen drivers. If they take sleep medication and drive, the risk increases. If you were injured in a car accident by a driver who lost control, the causes may have been falling asleep at the wheel or impairment. If the driver was impaired, the officer at the scene can usually detect it by observing the driver and through field sobriety or impairment tests. If drugs are suspected, a blood test will reveal the drug’s presence. Any drug that causes drowsiness or is used to induce sleep can be evidence of impairment, whether it was a controlled substance or not. But there may be conflicting versions of the truth regarding who was at fault, especially in illegal lane changes or red light accidents with no witnesses or video evidence at red light camera intersections. Since Massachusetts is a modified comparative negligence state, you need to prove that the defendant was at least 51% at fault or you may not recover any compensation for your injuries. 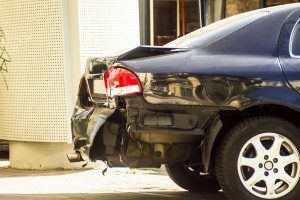 Sometimes a careful examination of the property damage of the vehicles can reveal that the other driver drove into your car. Also, police can find evidence that the driver was using sleep medication or alcohol from a plain view observation of the interior of the defendant’s car. Impaired drivers often keep empty beer cans, prescription drug bottles, and cups in their car. Officers can usually tell if the cup contained beer or some other alcoholic beverage. In a rear end accident, liability is generally assigned to the driver from behind. If the driver was also impaired, it merely confirms the liability. Although driving impaired from sleeping pills or alcohol can be construed to be a grossly negligent act, Massachusetts law does not permit you to collect punitive damages unless there was a wrongful death. In the case of a wrongful death as a result of a motor vehicle collision with alcohol involved, the law allows for multiple damages. Proving your damages requires that the laws of evidence be followed and that you prove them. Insurance defense attorneys are adept at minimizing the nature and extent of your injuries and in challenging the reasonableness of your medical expenses or the necessity of certain treatments. You need the experience and knowledge of car accident law firm Burns & Jain of Boston. He has been representing injured victims and their families in sleeping pill car accidents as well as other personal injury matters for decades. Call 617-227-7423 today for a free analysis of your injury claim.